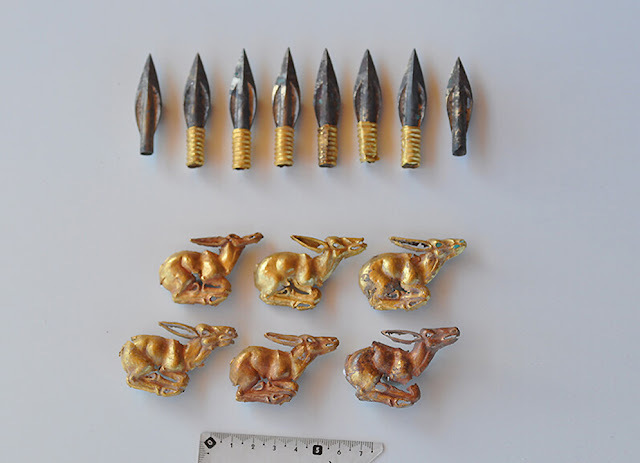 Some 3, 000 golden and precious items were found buried in a burial mound in a remote area at Tarbagatai mountains in Kazakhstan. It is estimated that the burial took place around 2,800 years ago and at that time the Saka people were residing there. 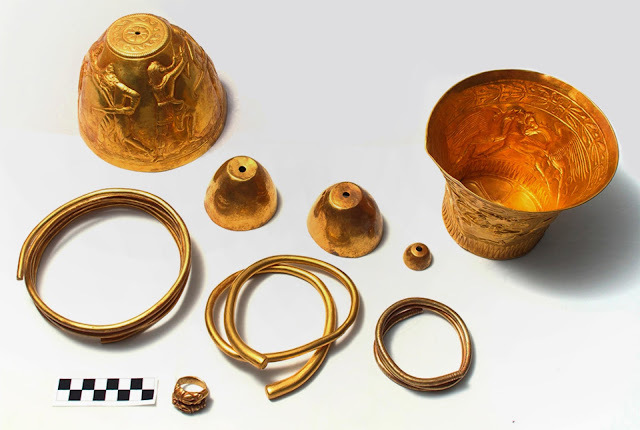 The type of gold jewelry and other items which were found would have belonged to Royal or elite members of the Saka people. An expert explained that the grave is that of a couple who may have been a part of those who reigned at that point in time. Among the finds are earrings in the shape of bells, gold plates with rivets, plaques, chains, and a necklace with precious stones. Gold beads were used to decorate clothing and were manufactured with a sophisticated micro-soldering technique which was developed by the locals and demonstrates exceptional artistic skill.